We understand that arriving in a city that you don’t know can be daunting. Even if you are familiar with the city, if you don’t have transportation on hand then getting from the airport to where you need to be can be difficult, especially if you are in a large group. 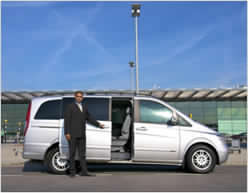 We offer reliable and comfortable airport transfers to take the hassle out of organising transport after you’ve landed. When using our service you can rest assured that an experienced and professional driver will be waiting at the airport to take you to your desired destination safely.